After an intense morning's training for the BLS module of the Minor Railways Safety Passport scheme, all the candidates (including myself!) 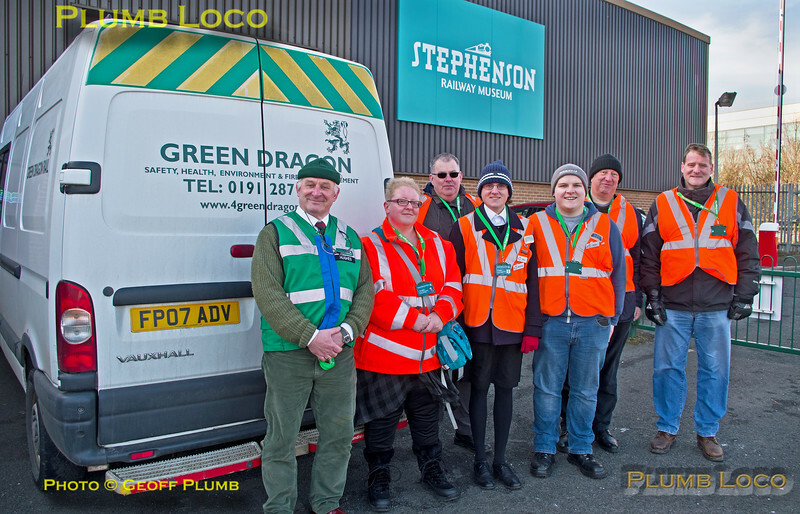 have been awarded their Passports by Major Ian Hughes of Green Dragon Rail, who conducted the course, and now wear them proudly in their lanyards outside the Stephenson Railway Museum, North Tyneside Railway. 12:23, Saturday 24th February 2018. Digital Image No. IGMP33804.